1. What size of mobile phones does the Osmo Mobile 2 support? The Osmo Mobile 2 supports mobile phones measuring from 58.6 mm-85 mm width. This covers most of the smartphones currently available. Please note that actual compatibility might be affected by accessories attached to your phone (including the phone case, external camera lens, or side button). 2. How do I start the Osmo Mobile 2 for the first time? Step 1: Ensure that the battery is charged enough. If the battery level is low, connect the charging port on the right side of the handle with a USB cable to charge the Osmo Mobile 2. Step 2: Mount and balance the mobile device to the Osmo Mobile 2. Step 3: Activate your Osmo Mobile 2 via DJI GO. Power on the unit and pair it with your mobile device. Instructions will be shown in DJI GO automatically to guide you through the activation process. 3. What is the hardware requirement for the mobile phone when being used with the Osmo Mobile 2? The Osmo Mobile 2 utilizes Bluetooth 4.0 to communicate with mobile phones. Though Bluetooth 4.0 has become a standard for current phones, we suggest you check your mobile phone’s specifications for compatibility. Loosen the Holder Lock Knob, follow the indicated directions and rotate the mobile phone holder for 90 degrees to mount your phone horizontally or vertically, then tighten the Holder Lock Knob. Please remove your phone before rotating the mobile phone holder. 5. How do I switch the gimbal to SmoothTrack mode? When the Osmo Mobile 2 is turned on, press the Trigger once to switch between SmoothTrack Mode and Lock Mode. 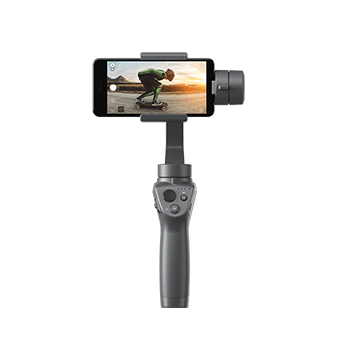 In SmoothTrack, the Osmo Mobile 2 anticipates the handle’s movement to smooth out pan and tilt transitions and reduces the shakiness from natural arm movements. 6. How do I center the gimbal? When the Osmo Mobile 2 is powered on, tap the Power/Mode Button twice to center the gimbal. 7. How do I switch between the mobile phone’s front and rear cameras? When the Osmo Mobile 2 is powered on, and Bluetooth is connected, tap the Power/Mode Button three times to switch between the mobile phone’s front and rear cameras. 8. How do I zoom in or zoom out? Push the Zoom Slider on the left of the handle to zoom in or out. 9. Is Auto-Tune available when the mobile phone is mounted to the Osmo Mobile 2 vertically? 1. Can I use ActiveTrack, Timelapse, and Panorama when the mobile phone is mounted vertically to the Osmo Mobile 2? 2. How do I use ActiveTrack? Tap the metering button in the lower left corner of the screen to switch to ActiveTrack. Mark an object on the screen to track it as it moves. 3. Does the different resolution of the front and rear cameras affect the ActiveTrack performance? No. 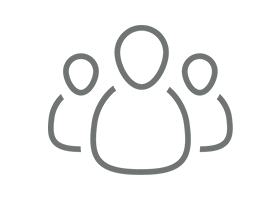 ActiveTrack will not be affected by the camera’s resolution. 4. What are the differences between Timelapse, Motion Timelapse and Hyper Timelapse and when to use them? For Timelapse, the Osmo Mobile 2 can be mounted to the bottom base or Tripod when shooting from a fixed angle. For Motion Timelapse, the Osmo Mobile 2 moves between the preset positions and captures scenes from different angles. For Hyper Timelapse, you can hold the Osmo Mobile 2 and capture views while walking. 5. Can I set the camera parameters in DJI GO? Yes. You can set parameters manually in the Camera Settings menu. This function is only supported by iOS devices. 6. Can I set the speed of the Joystick? Yes, you can choose and set slow, medium, and fast speeds in DJI GO. 7. Can I set the video resolution? Yes, you can change the video resolution in DJI GO (default resolution is 720p). However, the maximum video resolution will be limited by the mobile phone’s camera. 8. Are the camera settings in DJI GO affecting the resolution of my phone’s video itself? 9. Is there anything inside the app that tells me how much storage space I have remaining for video on my phone? 10. Can I use Beautify and ActiveTrack when live streaming? 11. Can I broadcast live videos through a third-party video platform? How? Yes. Go to Settings, choose Live Broadcast Platform and the Custom option (or type in the platform’s name) then follow the on-screen instructions. 12. What is the difference between Sport Mode and Walk Mode of the Osmo Mobile 2? SmoothTrack speed varies based on the Scene Mode. It moves faster in Sport Mode but slower in Walk Mode. 13. Can I use manual metering, focus, and zoom when shooting motion time-lapse videos? To ensure optimum image quality, manual metering, focus, and zoom have been disabled when shooting motion time-lapse videos. 14. How many points can I set when shooting a motion timelapse video with the Osmo Mobile 2? 15. Can the original photos be stored when shooting panoramas? Yes. Go to Camera Settings and turn on or off the function. 16. What is Pitch Lock Mode? The shooting direction of the phone’s camera will not be affected by the movement of your arms in a tilt axis. 17. Where are photos and videos captured by the Osmo Mobile 2 stored? For iOS devices, they will be stored in the DJI GO app, and you can store them on the album manually. For Android devices, you can choose to store photos and videos either in your phone or an SD card. 18. Can I use Beautify for shooting photos and recording videos? 19. Is Beatify available when shooting with the front and rear cameras? 1. How long can the Osmo Mobile 2’s battery last and how long does it take to charge? Can I replace the battery? The battery can last 15 hours and a full charge requires around 2 hours. The battery is built in the Osmo Mobile 2 and cannot be replaced. *Under test conditions when the Osmo Mobile 2 has been balanced. 2. How does the Osmo Mobile 2 charge the mobile device? What are the charging voltage and current? The Osmo Mobile 2 can charge mobile devices with the USB port at the back of the handle. The charging voltage and current are 5V and 1.5A. 3. Can the Osmo Mobile 2 charge mobile devices when it is being used? 1. How do I know which device is mine when there are several Osmo Mobile 2 around my phone? We give every Osmo Mobile 2 a unique serial number, which is located on the side of the phone holder. You can easily locate your device by finding the serial number. You can also change the name of your device in the DJI GO app. 2. How can I pair Bluetooth if I want to use the Osmo Mobile 2 with another mobile device? Disconnect the paired mobile phone, turn off the mobile phone’s Bluetooth and connect the other mobile phone you want to use. 1. Does the Osmo Mobile 2 support all Osmo accessories? The Osmo Mobile 2 is not compatible with most of the Osmo accessories. However, a 1/4’’-20 UNC port is added for connecting the Osmo Tripod. 2. What is the model of the port at the bottom of the Osmo Mobile 2? What accessories does the port support? It is a 1/4’’-20 UNC port which is compatible with the Osmo Mobile 2 bottom base, Osmo’s Tripod and third-party accessories. 3. Will the Osmo Mobile 2’s functionality be affected when an external lens is attached to the mobile device? External lenses may affect the balance of the gimbal. Large, heavy lenses are not recommended.